95% of all Fortune 500 companies trust Avaya solutions every day. Ideal for most businesses, Avaya solutions will help your employees interact with each other, your customers and your suppliers. Avaya's IP Office range offers support for 2 to 500 telephone users, whether they are based in the office, at remote locations or out on the road. The Avaya Offrice IP500 supports a wide range of desktop telephones, including 3rd Party analogue phones, a wide selection of Avaya digital phones (current and legacy models) and a fantastic range of Avaya IP phones and certified third party SIP Phones. Wireless handsets and phones are also offered, including DECT cordless (digital and IP) and wireless IP phones (WiFi) that operate over a wireless LAN. Avaya Desktop applications are also available, including Avaya Phone Manager and Avaya One-X Portal for IP Office. Avaya IP500 Phone Systems can connect together over IP (Broadband / VPN / Leased Lines) using 'Small Community Networking' or SCN with enhanced feature transparency (1000 users across 32 sites). With Avaya SCN, redundancy/resiliency is provided since one system can automatically take over from another system to support Avaya IP phones and hunt groups. 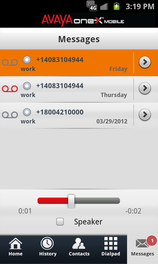 Avaya VoiceMail Pro also re-registers to the backup system. Traditional networking or VoIP networking can be used to network Avaya IP Office systems and other Avaya systems (Avaya Communication Manager, Definity, MultiVantage) with feature transparency. One of Avaya IP500's great features is a flexible Meet-Me conferencing capability which is included with no special equipment required. Avaya IP500 supports a 128-party conference resource with a maximum of 64-parties in any individual conference (A license upgrade to the IP Office Preferred Edition should be purchased for secure conferencing via a PIN code). Mobile employees can choose the Mobile Worker license which enables Avaya IP Office Mobility features - Mobile Twinning (or simultaneous ringing of an external device (mobile phone and a desktop phone), Mobile Call Control (star codes to hold, transfer, toggle or conference calls) and the Avaya one-X Mobile Client graphical user interface for Windows Mobile and Symbian Single-Mode intelligent devices. 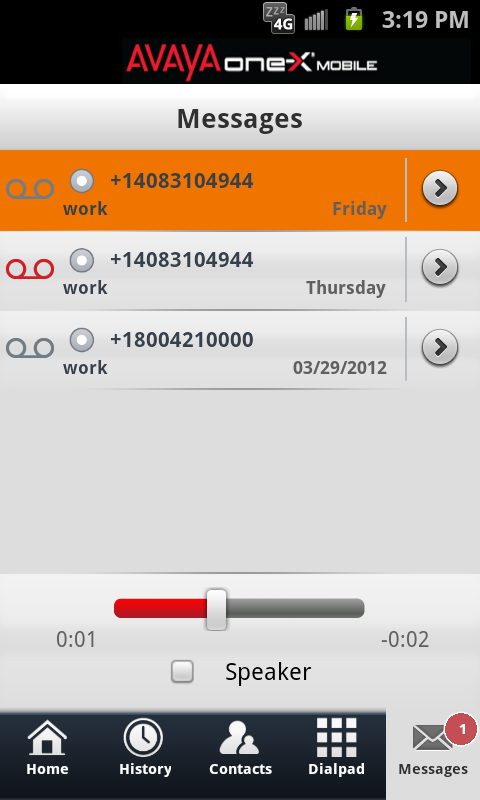 As well as third party Text to Speech (TTS) for listening to e-mails remotely. A full compatibility list of mobile handsets is available on request. Alternatively, for mobility needs, Avaya IP Office supports DECT in Europe, VoIP Wi-Fi worldwide, including wireless solutions from SpectraLink and KIRK. Please get in touch for more information. The Avaya Legacy Card Carrier must be purchased if you want to reuse cards from an earlier Avaya IP Office systems such as legacy IP400 trunk and IP400 VCM cards. However, some IP400 cards are not supported, please check with us during your consulation. Please note the Avaya platform changes as of Release 5. (available from Summer 2009) IP Office version 5+ software is not supported on the Small Office Edition (SOE), IP401, IP403 or IP406 V1. However, Avaya IP406 V2 has now been discontinued in the UK, though it can be upgraded with IP Office Release 5 software. IP412 supports v5.0 software, but will become obsolete since IP Office 500 is the only remaining platform going forward.